That is the bride and groom in focus! And all us cousins and the counterparts of the married ones. 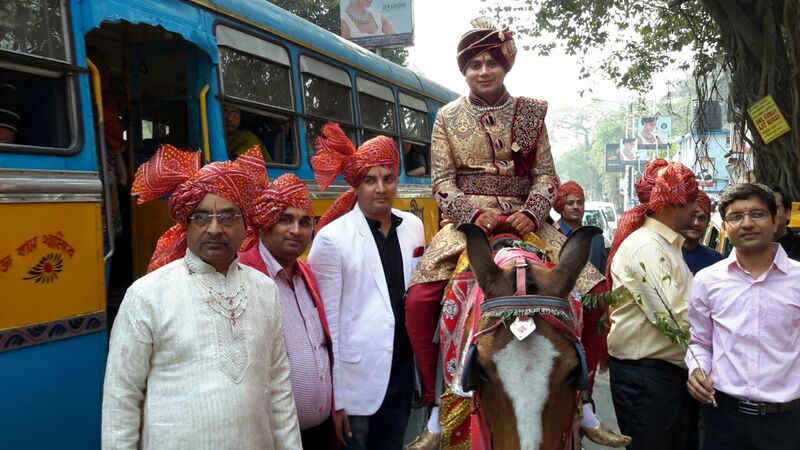 Traditionally, in Rajasthani weddings, the groom enters the place of wedding on a mare. So there he is perched atop! 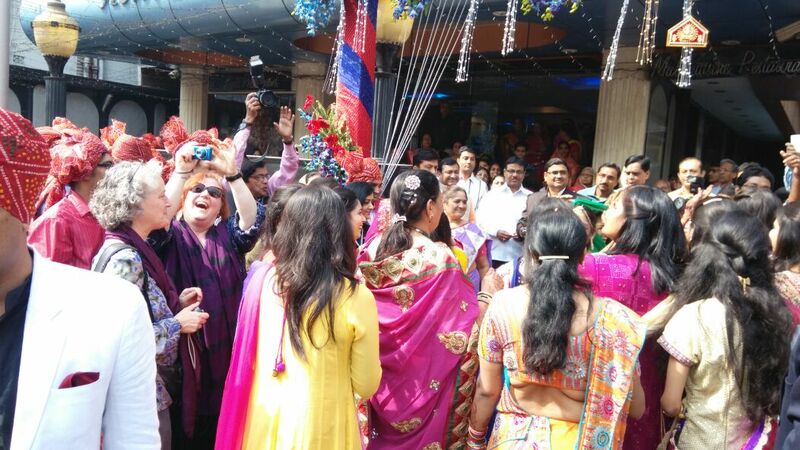 While the groom trots in on the dame, his family members dance to traditional (and Bollywood) tunes as a celebratory ritual! Sadly you cannot see much of the dancing here though a couple of American tourists joined in the revelry (see extreme right of picture). 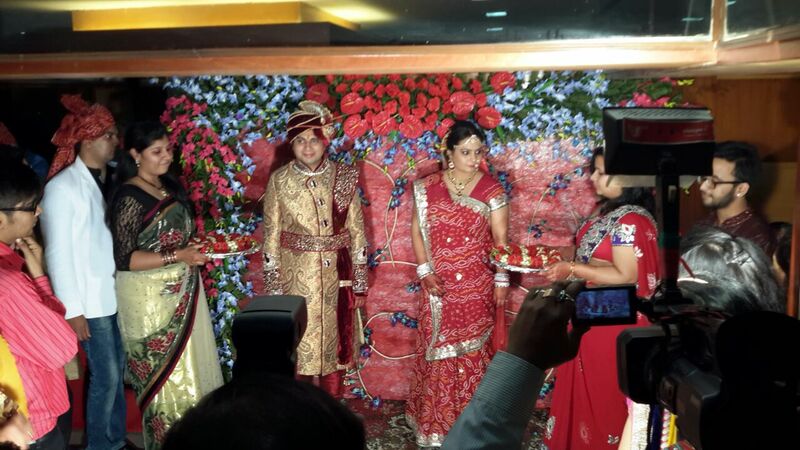 That’s them in full wedding attire waiting to place garlands around each other necks. See the sisters holding the garlands? 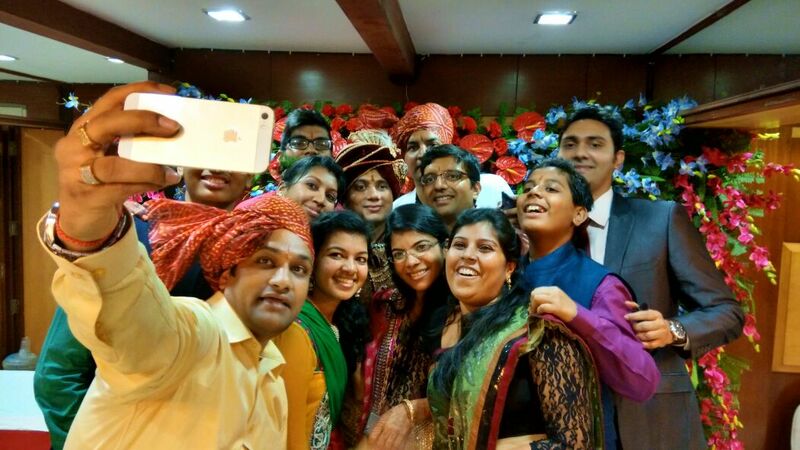 That’s a lot of us being clicked while taking a selfie with the groom. It’s a rush out there! And that is your blogger fooling around with traditional headgear worn by the men. 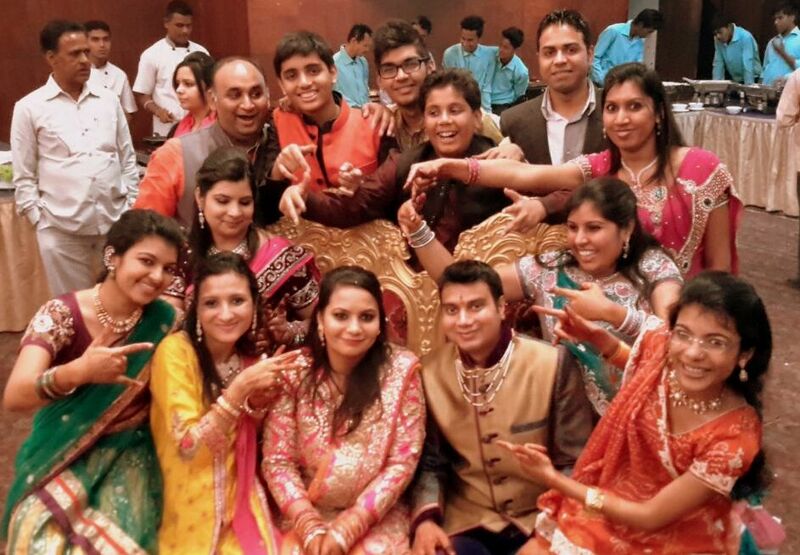 Previous PostBig Fat Indian Wedding!Next PostComing Soon : Pill to erase specific memories! The bride’s sari is so beautiful. SQUEEEEE!!!! I LOVE them! Thank you!! It’s so bright and beautiful and honestly, it looks like a fairy tale or a magic fable come to life! Our weddings in the U.S. look so plain in comparison. You look like a princess, too! Your excitement is soooo adorable! Honestly, I love your US weddings. At least the locales on Pinterest. They’re so breathtaking! awesome one Aditi!! You nailed it again!!! I love to see posts of Indian weddings. Everything and everyone is so colorful and the scene is one of great joy. We had a couple of American tourists join us out of sheer curiosity! They loved the dance and the revelry!